This product is no longer available. 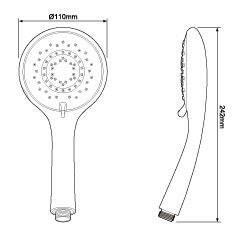 Please refer to the Omnicare Electric Shower for a suitable alternative. As the name suggests, Omnicare is the all encompassing model at the pinnacle of Inclusive Showering. A nice bit of kit.great value. My bathroom was converted to a wet room due to disability and this shower installed. Very easy to use and nice spray. A little thrown first time as pressing 'off' doesn't stop flow straight away. However small point and I still love this shower as does my daughter. 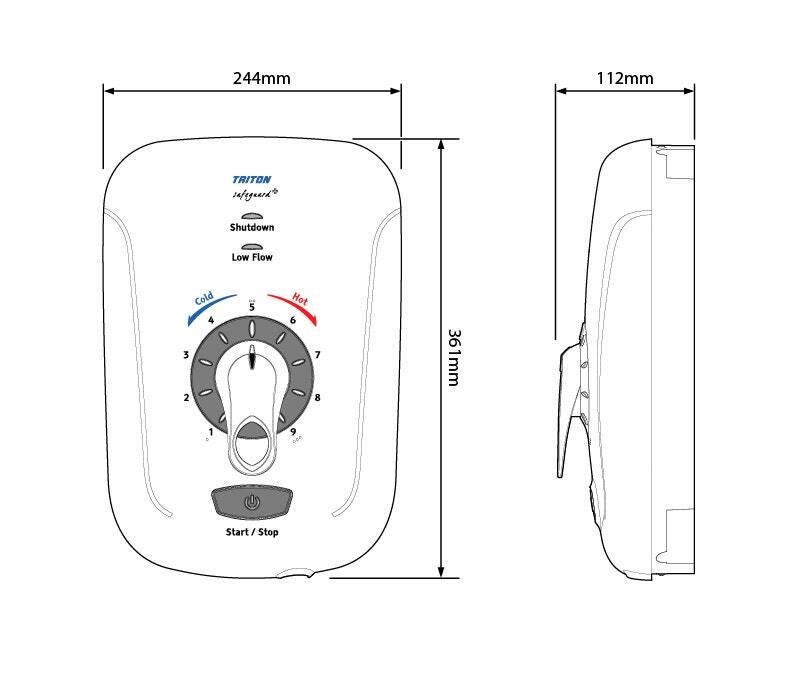 Triton Response - Thank you for your feedback, great to hear that the Safeguard<sup>+</sup> is providing the ideal shower solution to your wet room. The delay from pressing the 'off' button is the 'phased shutdown' feature of this model, which flushes out pre-heated water to reduce limescale build up and ensures a cool start up temperature on the next use of the shower. I have only had this shower installed for a week, and it has surpassed all my expectations. At last I have a very good shower unit, better than some of the hotels that I have stayed in. Fitted for my elderly mother, this is really well designed and easy to use. I am well-disposed towards Triton in any case because of their excellent spares service.I can still easily get spare parts from them for an old product fitted in my own house. Had this fitted for my husband who has parkinsons. Myself and carers able to wheel him into shower and he could be washed safely as the shower is set to:-)no 5 so it will never burn him. I use it for our young grandchildren andvit is afe to use. Thank you Triton for this great product..